This stunning home shows like a model and is low maintenance. 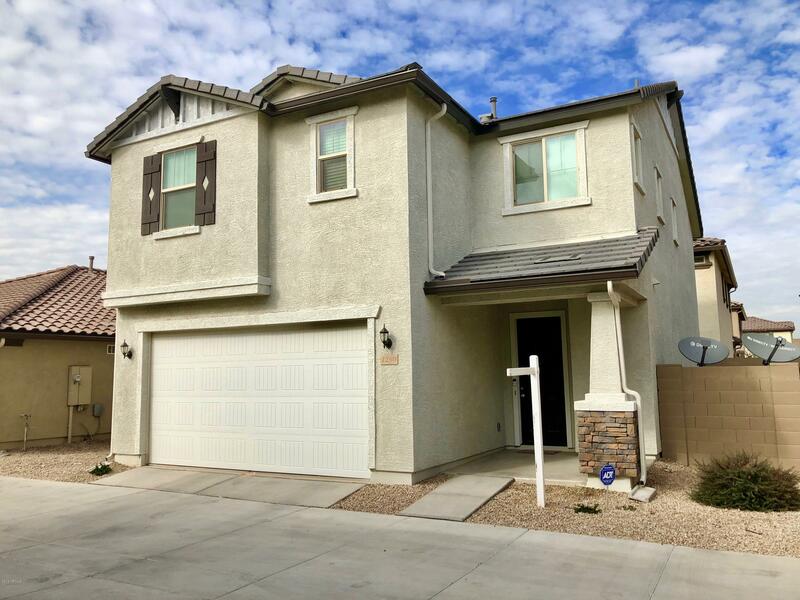 Once you enter the home you are greeted with 9-ft ceilings and a large open concept floor plan with beautiful neutral tones You'll find wood grain tile flooring throughout the first floor, with luxurious carpeting upstairs in the large loft and bedrooms. The large master suite boasts a master bath with upgraded vanity including a double sinks. The master bedroom also has a spacious walk-in closet that is wonderful. The loft is large in size and there are two additional bedrooms as well. Also has a tankless gas water heater. The backyard is complete and low maintenance with pavers and synthetic grass perfect for relaxing or entertaining. If you are looking for an energy efficient home, better than new this one is for you!